Show your loved one how much you care with this lovey linear design. 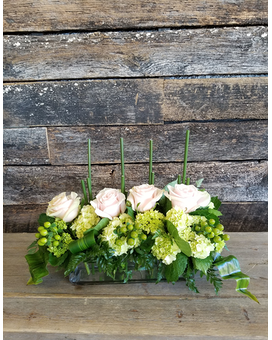 Roses and hydrangea complement each other so well in this trending design. A perfect gift for New Baby, Birthday, Get well or sympathy.